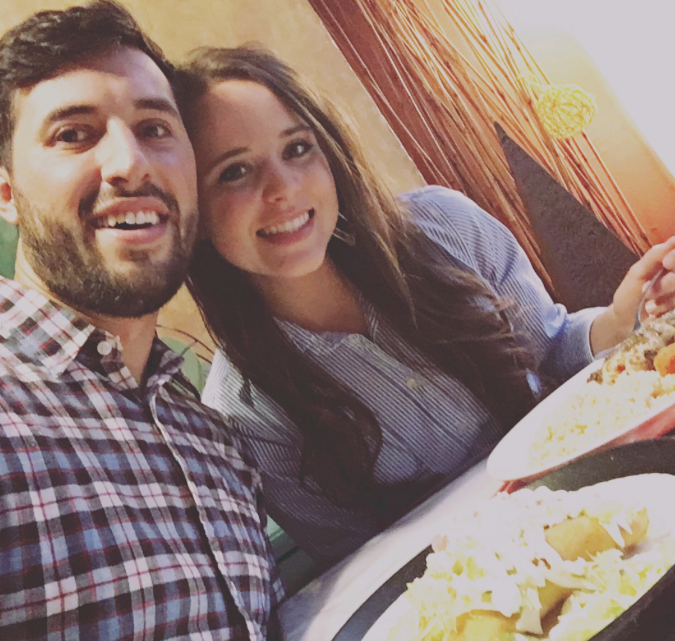 We know you all always love seeing pictures of Jinger and Jeremy Vuolo, so here are a few new ones. These snapshots are from a surprise date that Jeremy took Jinger on, complete with a bouquet of yellow (Jinger's favorite color) roses and a love note. They look so happy. Great couple. I'm glad they are enjoying life. These two are such a beautiful couple! Love them...wish they had a spin off show! Jinger's facial expressions are THE best! That is so sweet ! Okay... date nights are good. But it would be interesting to know what Jinger does with her days. Is she employed or going to school? She went shopping on last week's show! Was proud she could find her way there without a map! I love that he always brings her flowers. So loving and thoughtful. There so adorable! There perfect for each other u can just tell. These two are so cute together. I think living in Laredo has really given them a chance to blossom as a couple. So cute! That was nice of Jeremy to give Jinger yellow roses. They are a super cute couple! When you're a newlywed without children, every night is date night. It usually is, but with Jeremy being pastor of a small church, he probably does have a lot of responsibility to his church--maintaining the physical church, preparing sermons, and attending to the needs of his parishioners in sickness and in health. Being a pastor is not the easiest for sure, even with a small congregation. You are on call almost 24/7. Date night with your spouse is special indeed. (To stay in a positive spiritual state when looking at these pictures repeat slowly and calmly ... " love envieth not, love envieth not, love envieth not, love envieth not, love envieth not... ) ... Then say ....oh how sweet, so happy for them! 10:42- You envy them? If so, that's a waste of energy. No one has any idea of their personal struggles or anything else about their lives, other that what is shown on TV and in magazines. It's a given that most newlyweds look happy. Hopefully, they stay that way. But, no, I wouldn't want to be in their shoes or anyone else's, for that matter. They are the ideal couple and have had a glorious time of it. Who would not want that? Just don't envy. 17 6:22 and 11:18 am the concept is envy, how not to, how to be gracious. I like how hard Austin worked. He was like Jacob putting in hard work for the life he hoped to have one day. That was taking control and making a dream a goal and dedicating oneself to making it a reality to live love. No sitting back just idly desiring lifestyles others had aldready achieved for themselves. 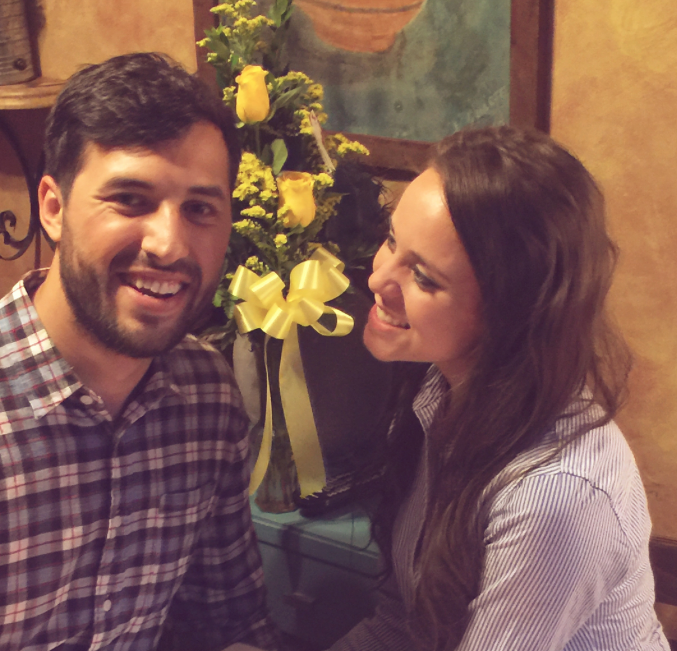 Jinger & Jeremy-Good things are happening in Laredo-So glad you're there! You make a really cute couple- God bless you as you follow Him. May you prosper, even as your souls prosper. Not that I'm speculating a pregnancy or even suggesting they rush into having kids. However their children will be gorgeous. Glad they are just enjoying each other and living life by their own rules and standards. How do you have a "date night" when you're married? You're married but still dating? That term makes no sense in this instance. I have to agree. Maybe I'm just old but this whole "date night" with one's husband is silly. How about calling it what it is, spending quality time with your husband. Why does it have to be a date? That term has been in use forever! Anytime a married couple get the chance to be out together it's often referred to as a "date night". It's how we married folks keep the romance alive in our marriage. Speakers at marriage conferences and pastors encourage husbands to "date" their wives. Even husbands and wives who are still newlyweds may get busy with things of life and neglect their spouse. And remember Pastor Jeremy has a congregation to shepherd, so date nights are especially important. Date night for a married couple means that you get out (or sometimes stay in!) and do something special, out of your normal routine. It's a time to put aside everyday life and focus on just enjoying being together. Believe me, date nights are very needed in marriage! Why do you have to call it like it's some sort of adolescent activity? Beautiful Couple! God Bless You both! They are a cute couple but it's a shame that Jeremy is so critical of Catholics. For someone who supposedly loves theology, he doesn't know much about Catholics. Maybe instead of criticizing them, he should visit a Catholic church and meet some of them. And then focus on reaching out to people who are impoverished, do some good for the community instead of serving to divide it. Anon @ 10:38. Jeremy may 'love' theology but he has never been to any seminary and actually studied it. To mentor under one person in a single denomination and not learn the history, background and principles of other christian denominations is very narrow minded. As you say if he actually went and spoke to some catholics and maybe studied what their belifes actually are he would be more informed to make an opinion, and reach out and make a difference in his community. This sort of I'm right your wrong thinking isn't a loving christian attitude. I ask you Jeremy...are your sermons good and pleasant causing God's people to dwell in unity? Doctrinal differences are just that..differences. It's the same in any family. We all "see" things a little different, but are still family. Is Jinger still part of, and welcomed by, her brothers, sisters and parents though she now wears jeans, shows shoulders..and uh-oh even knees?? Of course she is! Catholics and Protestants are the same family of believers in Christ, but family nonetheless. Love does not dishonor others, and your words dishonor, wound, divide and cause disunity. How is this "blessing" anyone?? I like him alot and he seems like a gifted and devoted pastor and gift to their community, but he is misinformed on catholicism. We should all be trying to bridge the gaps between different faiths with respect, not tearing them down.I think that will come for him with more experience. I agree. Most Protestants seem to be told terrible things about Catholics. Very sad. I am a Catholic who married a Protestant. My husband's family heard terrible lies at their church about Catholics. I was horrified. Not once ever were we told mean lies about non-Catholics. In fact, my church choir sang at Lutheran and United and Anglican churches during the Easter and Christmas seasons and we all got along really well. Christians should be united. We have more in common than we have differences. Everyone who loves Jesus should band together. I agree.All people of faith should use R E S P E C T!! Its really quite simple.No need to compare or bash.Go ahead and ask questions if you are curious but don't make statements if it is not your faith.One thing ALL Christians should agree on is the Golden Rule. Simply put, go forth and apply the rule and have a blessed day!!! 7/15 @10:42PM...what in the world does your post mean? 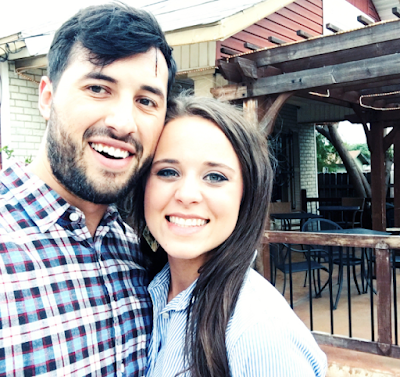 Who would envy Jinger? Not me. If there weren't such a thing there would not be such a word. It is not that baffling. Maybe people who don't have everything jinger has lately would envy her. I think the commenter was alluding to wishing they had the type of love/relationship/marriage that jinger and Jeremy have and find it difficult to be compleatly positive about the lack of that type of relationship in thier own life..... odd choice of wording but that's what I gathered. It was either that or just snark..? 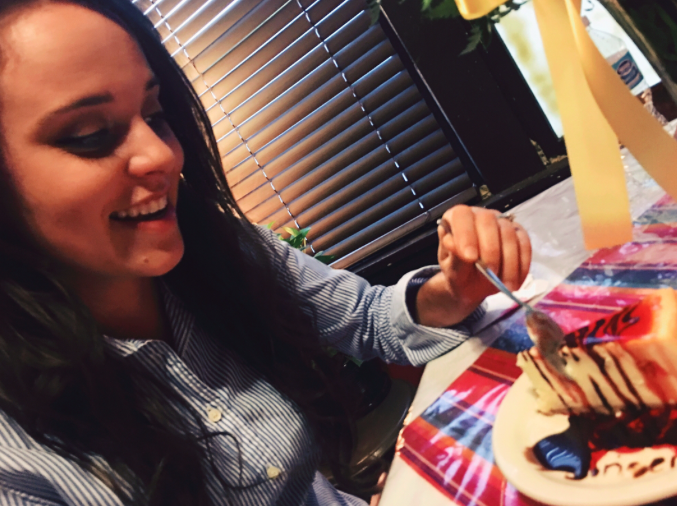 I think some might look at these pictures and envy if you are single and longing for a loving caring partner and so it was a witty reminder to not envy but be happy that Jinger has found her forever someone! Anon @ 9:56 Agree with you, I think its a good thing they are striking out on their own, and there is some distance between them and the Duggars. I think there will be a stark difference between Jingers life and her brothers and sisters who remain in Arkansas. It can only be a plus that she will not have constant questioning about babies and pregnancy, who needs that? What I would like to know is if Jinger is taking on any church responsibilities as the Pastor's wife? Jinger just really seems like a very nice sweet bubbly young woman and very thoughtful. I think she is my favorite out of Jim Bob and Michelle's 19 children,although most of the others seem like nice people as well.